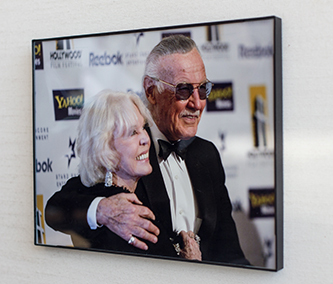 If there were ever a person who shaped and molded the childhoods of millions, it would be Stan Lee. 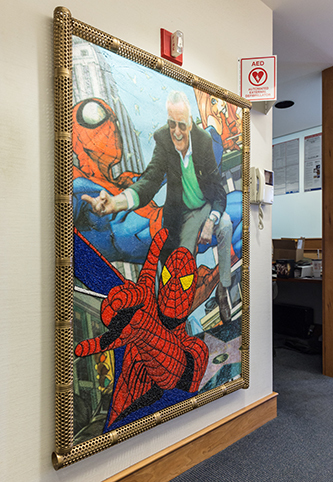 His decades-long tenure at Marvel produced some of America's most beloved comic book characters, including Spider-Man, the Hulk, Iron Man, Captain America and the Fantastic Four. Lee's characters have become household names and the stars of countless blockbusters. The 92-year-old comic book writer's prolific career has turned him into a household name, and he isn't done working. In 2001, Lee, along with Arthur Lieberman and Gill Champion, founded POW! Entertainment, a publicly traded production company, where he serves as chairman and CCO—Champion is currently president and CEO. Inside Lee's office at POW! 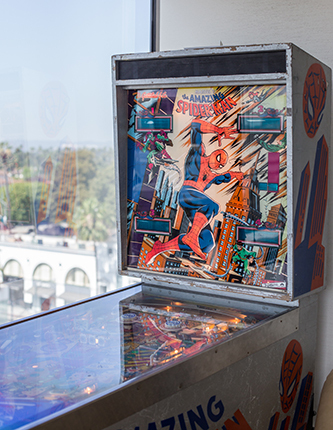 's Beverly Hills, Calif., headquarters, artifacts of his life and career fill every wall and corner. Champion sums it up best: "It's like walking through a museum." Luckily, we were given an exclusive tour. 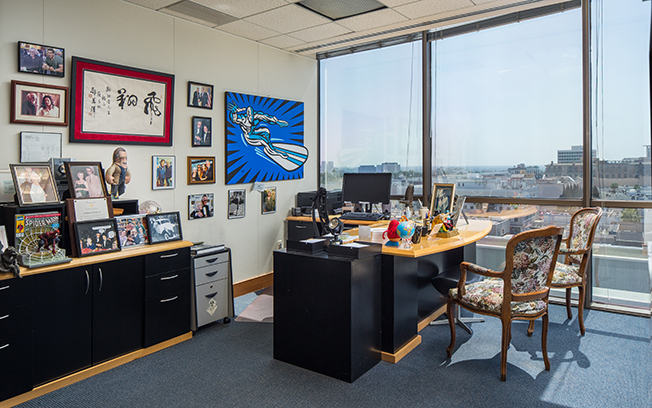 Lee's Beverly Hills office at POW! 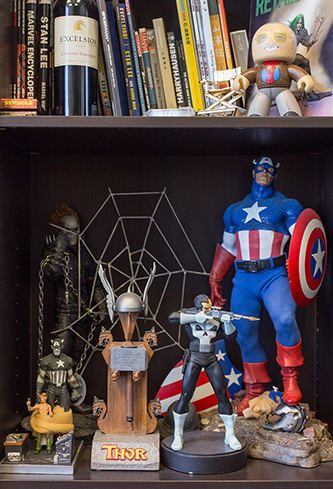 boasts expansive views and personal mementos collected over the years. 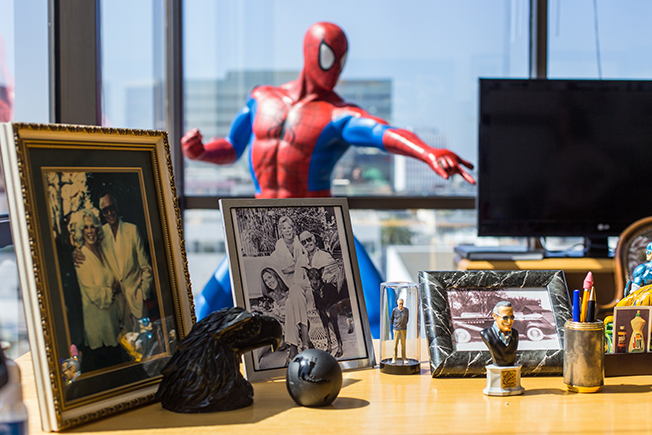 Family pictures and small mementos like personalized bobblehead dolls line Lee’s desk. 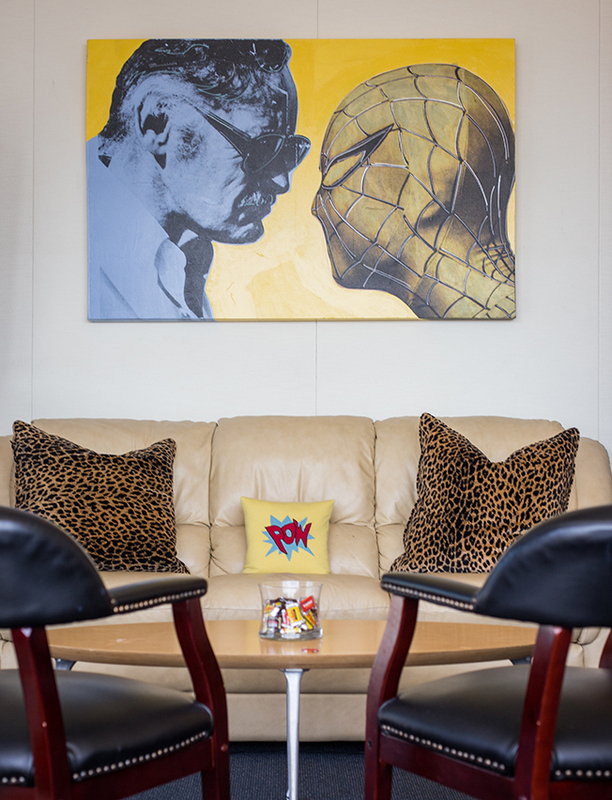 Steve Kaufman, who was a student of Andy Warhol, painted this Lee/Spider-Man stare down. 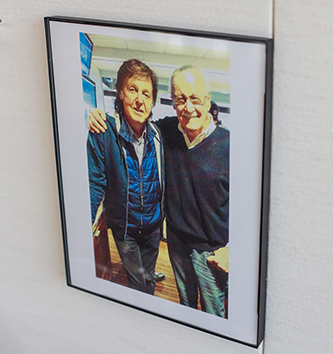 Lee and Paul McCartney at the 2014 Super Bowl. Fans frequently display their affection by sending in art. Lee and POW! display as much as space permits. 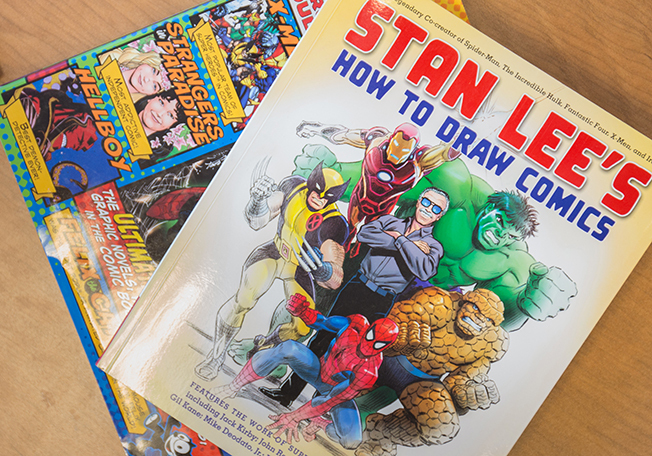 Lee makes sure to keep around a copy of his 2010 book, How to Draw Comics.